Local water authorities require that any new water supply to a site or building be swabbed, flushed and chlorinated. All new water systems under BS8558 also require chlorinating. 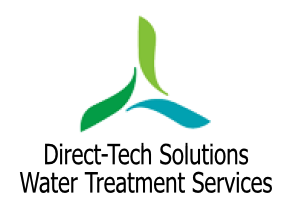 Direct-Tech Solutions technicians can carry out the work to the required specification of the local water authority or BS8558, on completion a sample is taken and tested at an independent UKAS accredited laboratory. Chlorination is the term used when chlorine is used for the disinfection of a water system. The chlorination of a water system provides a highly effective disinfection method that removes bacteria and ensures the safety of the water supply or system. The use of chlorine has greatly reduced the prevalence of waterborne disease as it is effective against almost all bacteria and viruses. We use the latest proportional dosing systems to deliver the chlorine at the correct levels; all equipment is calibrated and serviced to the manufactures recommendations. We carry out chlorination’s on new mains supplies, cold water storage vessel clean and chlorinate; this can also include the disinfection of the associated water down services. A chlorination certificate is issued for all work carried out. After any chlorination we can provide testing through an independent UKAS accredited laboratory to give confidence in the cleanliness of water systems. All our technicians hold the National Water Hygiene Card.